Wisconsin’s partisan primary election is Aug. 14. Voters across the state will decide which candidates will face-off in the Nov. 6 general election. 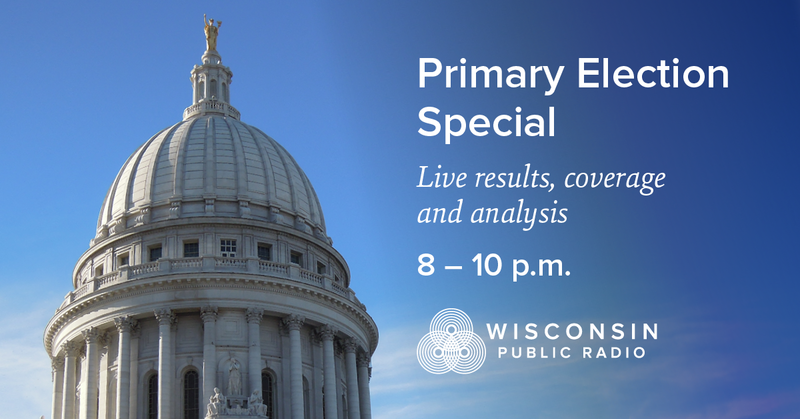 Beginning at 8 p.m. Wisconsin Public Radio’s Shawn Johnson and Rob Ferrett will be joined by Wisconsin Public Television’s Frederica Fryberg to provide results and analysis of U.S. Senate, congressional, Wisconsin gubernatorial and key state legislative races. Listen live from 8 p.m to 10 p.m. on The Ideas Network, NPR News & Classical Music Network and at wpr.org. You can follow all the results at WisconsinVote.org.